$2,999 due at lease signing on approved credit. 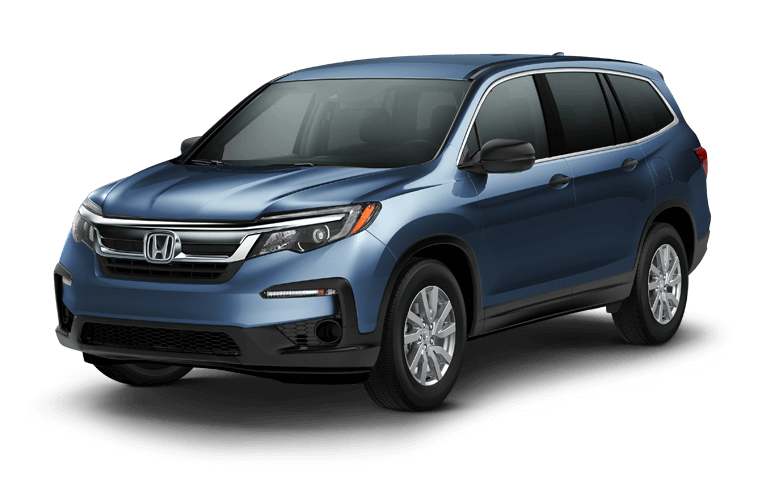 *Lease a 2019 Pilot LX 2WD CVT (YF5H1KEW) for $299 per month plus tax and license for 36 months on approved credit by Honda Financial Services. $2,999 total due at lease signing, plus tax and license. $0 security deposit. 12,000 miles per year with $0.20 per mile thereafter. Offer expires 4/30/19. See your Honda dealer for details. ©2019 Southern California Honda Dealers Association.